The city of Tampa is one of the top spots in Florida. 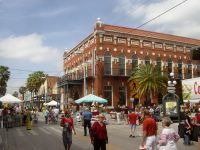 As a holiday destination, its main draws are the fantastic Busch Gardens amusement park and Ybor City, the historic downtown Spanish district, with its nightclubs, bars and shops, converted from Cuban cigar factories. The Henry B. 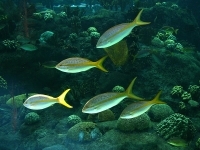 Plant Museum offers visitors exotic exhibitions and architecture and tropical gardens to explore. The Tampa Museum of Art lures tourists with both ancient and contemporary treasures. 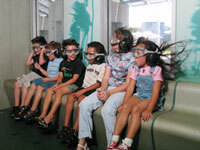 The Museum of Science and Industry (MOSI) will delight and educate young and old. The Tampa Bay History Center walks visitors through 12,000 years of the region's history. 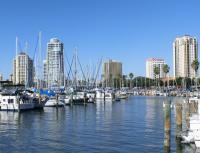 Holidays in Tampa are designed for families with children. Apart from the impressive Busch Gardens, families will enjoy the enormous Florida Aquarium and the Big Cat Rescue, the largest accredited big cat rescue facility in the country. 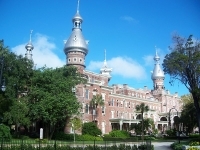 We are looking for contributors for our Tampa travel guide. If you are a local, a regular traveller to Tampa or a travel professional with time to contribute and answer occasional forum questions, please contact us.